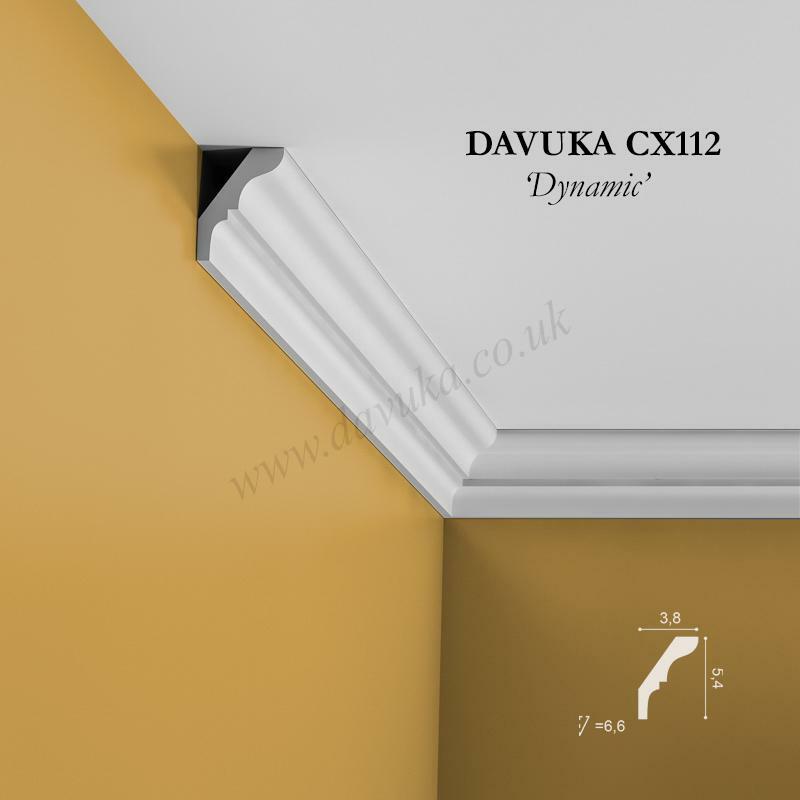 A simple cove with attractive ‘cut-out’ along the bottom length. 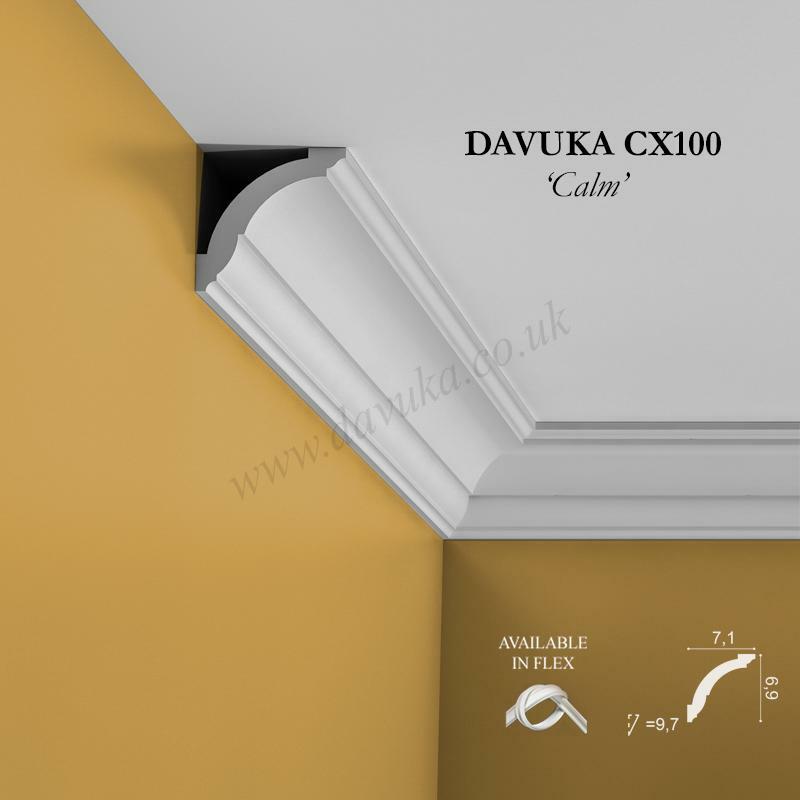 (For rigid profile, min order is 3 pieces, for flexi, amend min qty within basket). 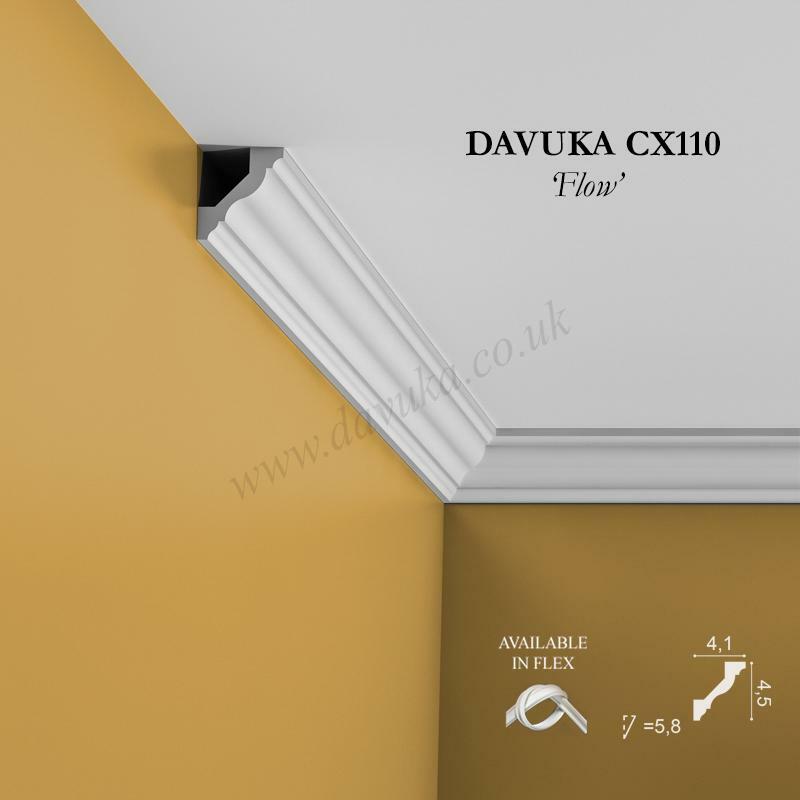 Need to match with some dado or discounted skirting? 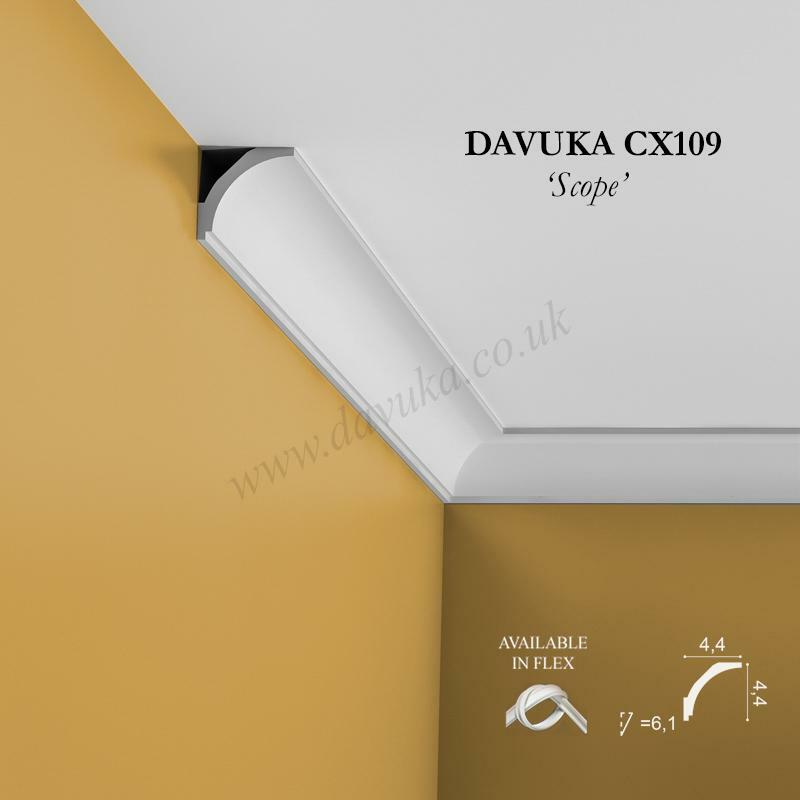 Try PX113 or PX120 dado rail, R09 ceiling rose and SX125 skirting board. 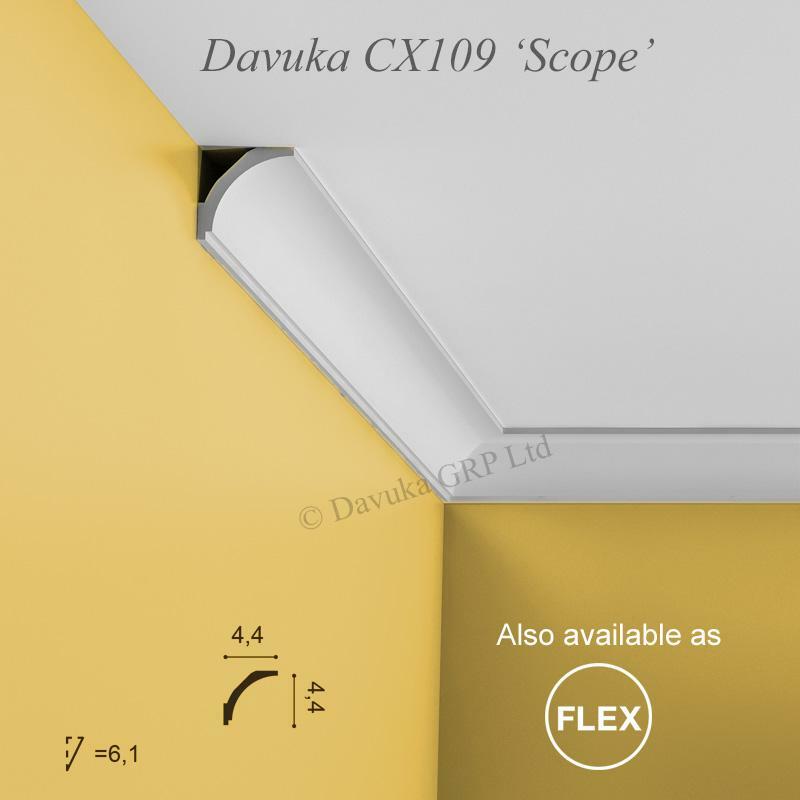 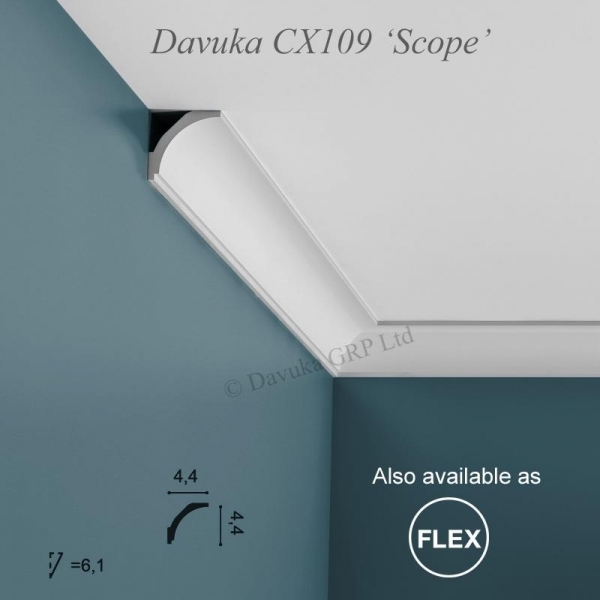 Using the Correct Jointing and Mounting Adhesives for the CX109 ‘Scope’ coving- IMPORTANT!